Can a Notary Public come to the hospital in San Diego? We, at San Diego Notary Now, are often asked whether it is possible to have a Notary Public come to the hospital to complete a notarization for a loved one, or themselves. The answer simply put, is of course we can! Our goal is to help the public get notarized, wherever that may be, we will assist as long as the signer has valid ID, and a proper, complete document that needs to be notarized. Whether it be in the hospital, or on a boat at the docks, at the beach, in jail, at the coffee shop, we are here to help! It is important to check with the hospital staff that the signer is allowed to have visitors. 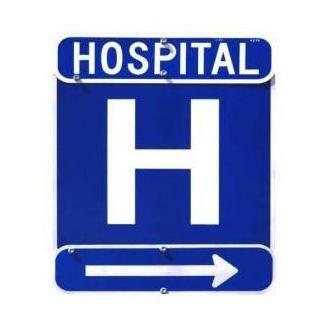 Be aware if there are any health concerns with having a member of the public enter their hospital room. The Notary Public must be present to have the documents signed, notary certificate filled out, and have their journal signed. The signer must be able to communicate with the notary and understand that they are signing a document. They must not tell us that they do not want to sign it. We will not help force someone to sign a document. They must be willing or acknowledge that they indeed did sign the document being notarized. Sometimes the individual may have an issue with signing their name when they are in the hospital due to injury or other reasons. The person being notarized must sign the document without someone else coercing their hand to sign. If they cannot sign their full name they may sign by mark with the presence of witnesses to attest to watching the person make their mark. We understand the difficulties that accompany certain situations, and are very patient and understanding when signing is difficult and they make need to take longer than usual. Notify us, or the Notary Public assisting you, if you intend to sign by mark, or if the person you are making the appointment for has difficulty signing. Some of the hospitals we travel to in San Diego County include: grossmont hospital, sharp grossmont hospital, sharp mercy hospital, scripps hospital, scripps green hospital, veteran hospital, va la jolla hospital, scripps memorial, scripps mercy, rady children hospital, frost street hospitals, and alvarado hospital. We also service all of the kaiser medical centers and hospitals, including their emergency rooms. Tags: Will a Notary Public come to the hospital?